Frank Kafka was a German writer of short stories and novels. He is regarded as among the most influential writers of 20th century. He strongly influenced genres like existentialism with the ideas and themes of many of his short stories and works. Franz was born in a middle-class, German-speaking family in Prague, the capital of Bohemia. He was the eldest of six children of Jacob Kafka, a butcher. On business days, Franz’s parents were always absent from home as his mother helped to manage her husband’s business. 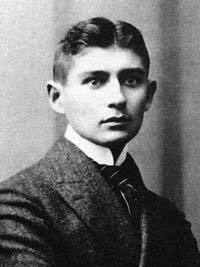 Franz Kafka learned German as his first language, but he was also quite fluent in Czech. After a while, he also learned the French language and culture. Between 1889 and 1893, he attended Deutsche Knabenschule, a boy’s elementary school at Fleischmark. His Jewish education was limited to his Bar-Mitzvah celebration at age 13 and going to the synagogue four times a year with his father. After elementary school, Kafka was admitted to a classics-oriented state gymnasium, Altstadter Deutsches Gymnasium. Here, German was the main language of the institution. Franz completed his Matura examinations in 1901. He was then admitted to Charles University of Prague. Initially he studied chemistry, but later switched to law just after two weeks. This offered him a wide range of career choices. He then decided to join a student club which organized some literary events, reading, and other activities. In 1906, Frank Kafka obtained his degree of the Doctor of Law. On November 1, 1907, Kafka was hired by an Italian company where he remained for one year. This work took much of his time and he was left with very little time to concentrate on the writing. A few months later, he resigned and got another job. All of Kafka’s published works, except for a few letters that he had written in Czech, were written in German. He never finished any full-length novels and he even burned about 90 % of his works. His earliest publications were some eight stories which later appeared in 1908 in the first issue of a literary journal Hyperion entitled Contemplation. He wrote another story, Description of a Struggle, in 1904. He showed this to his friend, Brod, in 1905 who then advised him to just continue with his writing. In 1912, he wrote Das Urteil, which he dedicated to Felice Bauer. This story is considered Kafka’s breakthrough work. Kafka began writing his first novel in 1912. He called his first work Der Verschollene, but it remained unfinished. After his death, however, Brod published it and named the novel Amerika. In 1914, he started working on another novel – The Trail. Kafka never completed this novel, although he just finished the last chapter. According to one of his diaries, Franz was already planning to write his novel The Castle by 1914. However, he only began writing it in January of 1922. Franz Kafka suffered laryngeal tuberculosis and towards March of 1924, his condition had worsened. He died on April 3, 1924, in Prague. Kafka left all his work, unpublished and published, to his good friend and also literary executor, Max Brod. He left instructions that all these should be destroyed upon his death. Brod ignored the request and he decided to publish some novels and other works between 1925 and 1935.